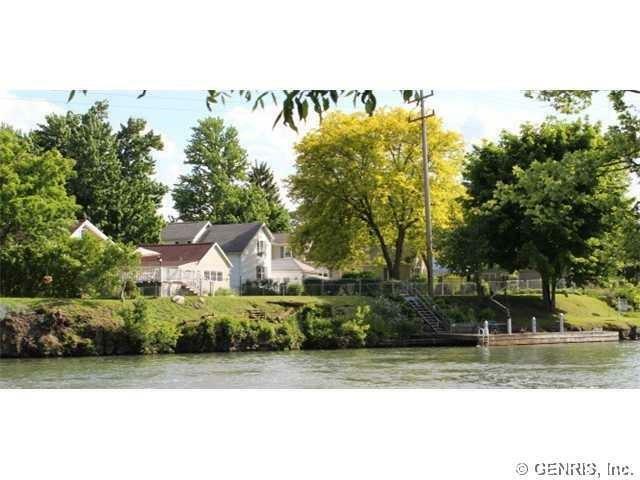 A unique opportunity to own 122' of waterfront along the canal! Boat enthusiasts and bird watchers will enjoy this peaceful spot located on a cul-de-sac. This 2 Story Home w/attached garage and large yard has 2 full baths, 2 bedrooms, a study/den (possible 3rd bedroom), eat-in kitchen and deck overlooking the canal. Permanent deep water (14') dock for boat tie up, swimming, sitting and enjoying. Newer furnace, central a/c, 15 KW AC Generator, and free standing gas fireplace.